Around-the-Clock Appliances – Central Electric Cooperative, Inc.
New appliances don’t just cook your food and keep it cold, wash your clothes and dishes, or offer a few hours of entertainment. These machines boast myriad functions that make our lives easier—but in doing so also consume more energy. While appliances have become more energy efficient as technology has evolved and federal standards tightened, few ever truly shut down anymore. And as Americans add more and more electronic devices to their households—25 on average, according to the Consumer Electronics Association—much more energy is consumed. Take a phone charger as an example. 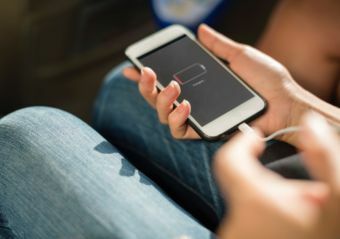 Leaving it plugged in without a phone attached doesn’t mean it’s not drawing power—in fact, it uses 0.26 watts of electricity even when a phone isn’t connected, and 2.24 watts when the handset is charging. Of course, that 0.26 watts by itself might not be a big issue. But if most of your electronic devices are doing that, it can add up to as much as 10 percent of your bill, according to the U.S. Department of Energy. “Take a look around your house—how many cords are plugged in? Of those, how many are actually attached to a device? You might be surprised at how much electricity your family consumes, even when you don’t realize it,” says Ryan Davies, CEC Customer and Energy Services Supervisor. Cable boxes are a big culprit of 24/7 energy use. Leaving your cable box plugged in for a year and never turning it off adds, on average, $17.83 to your electric bill. Toss in a DVR function and that total jumps to $43.46, DOE reports. And electronics aren’t the only problem. Basic “white goods” appliances like clothes washers and dryers, refrigerators, and dishwashers are so savvy that you can set them to come on late at night, when the wholesale power your co-op must buy costs less—helping your co-op keep power affordable for you and your neighbors. Here again, the bigger you go with a new appliance, the more energy it will use. Electric bills don’t have to be held hostage by 24-hour-a-day energy use. For starters, use a power strip to turn several electronics on or off at once. For a bigger investment, look into “smart” power strips. They allow you to cut power to certain appliances—say, your TV—while letting power flow to your cable box because it takes time to reboot after being unplugged. If you’re in the market for a new appliance, look for an ENERGY STAR model. It generally consumes less power all around and uses less standby energy. “But remember that you actually have to use those energy-efficient settings on your appliances to see savings on your electric bill,” explains Ryan. © 2018 Central Electric Cooperative, Inc. All Rights Reserved.